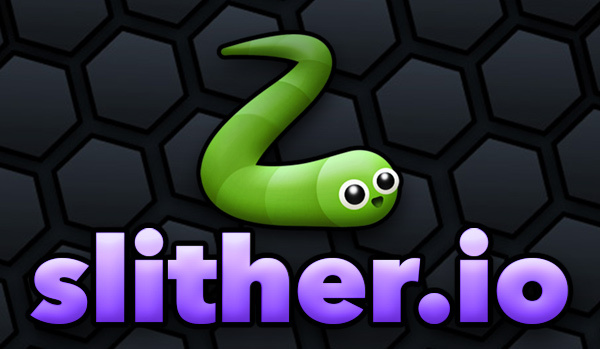 This year the Nordic Game Day Competition features the popular browser and mobile game slither.io! In slither.io players control a snake-like avatar, which consumes multicolored pellets to grow in size. The objective of the game is to grow the longest snake on the server. The game is reminiscent of the much older mobile and arcade game Snake, but is played online against other players. If the player’s snake’s head collides into a part of another snake, the player loses the game and must start over. There is a border that confines avatars within the circular game board. If a snake hits the border, the player loses the game. This game can be played with smartphones, computers, laptops and tablets. Using tablets you have a choice of playing against A.I or live opponents online. Playing online is more difficult, but getting the worm really big is really only possible online, so if you want to win the NGD competition, you have to play online. This game is easy to get into, but difficult to master so players should be given as much time as possible to play the game and multiple attempts to break high-scores. You should allow several attempts if there is no line. There is a chance of playing against other competitors in online mode, so make sure to name your snake as your organization (for example “Vigerslev Bibliotek”). This way your organization will get the glory as we climb the leaderboards! Using the app displays the best score on that device so you could for example give a tablet for the player and ask the player to bring it back after they beat the high-score (or when they give up). You could have several tablets (or phones) in use at the same time. Track each high-score separately if you use multiple tablets. You can also have just one computer and play the game as a hot seat. Players cue in a line to try to beat the high-score (marked clearly on the wall for example). If they fail, they move to the back of the line. If they win, they move out of the line until someone else beats the high-score. New players can join in at any time to the back of the line. Plugging in a projector could make the tournament a great spectator sport and make waiting for your turn more fun. When a player beats the high-score in either mode, ask for their contact information (email or phone number) and after Nordic Game Day, send the best players contact information to your local country coordinator. The best player in the Nordic Competition will be announced on Monday 21.11.2016 and the best player in each country will also receive game-related prizes. We will also send some smaller prizes to all the organizations who have registered an event to the Nordic Game Day before November and are participating in the Nordic Game Day competition. So get a feel for the game and remember to register your event for Nordic Game Day! This entry was posted in Competition, Denmark, Finland, Iceland, Norway, Sweden, Uncategorized. Bookmark the permalink.